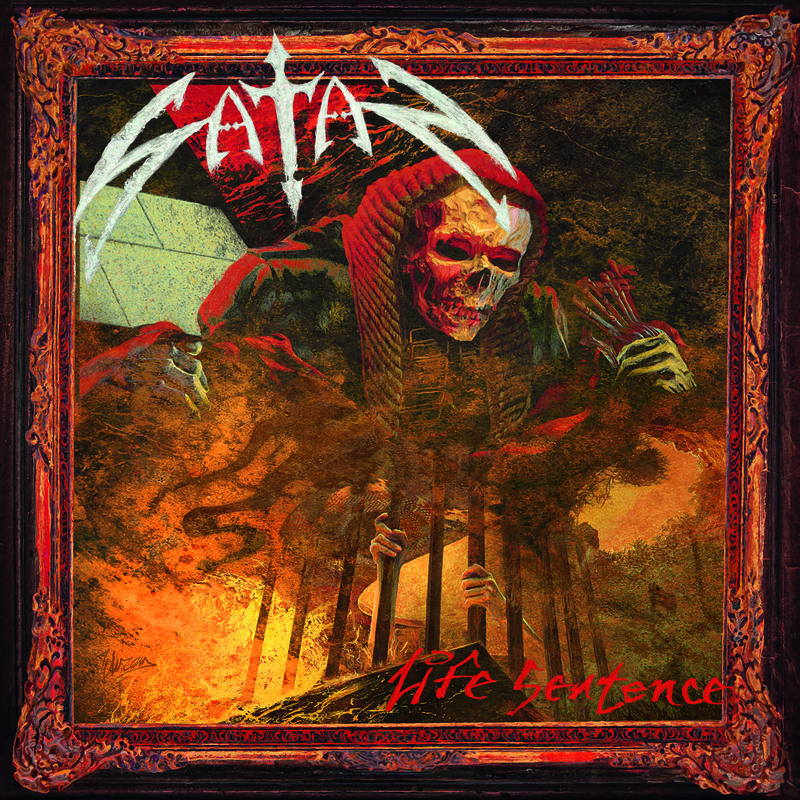 “Legendary Bristish heavy metal band SATAN are releasing their new album ‘Life Sentence‘ on April 29th in Europe and in May in the U.S. The cover was drawn by Eliran Kantor (http://www.elirankantor.com/ TESTAMENT, HATEBREED, SODOM…) and depicts a similar graphic concept as their debut album entitled ‘Court In The Act’ originally issued 30 years ago. SATAN will assault some European Summer festivals to be confirmed shortly. ‘Life Sentence‘ is a very strong uptempo heavy metal album that is undoubtedly bound to become a classic of the music genre! !